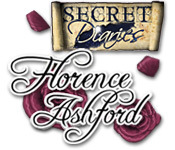 Secret Diaries - Florence Ashford is rated 3.4 out of 5 by 22. Rated 5 out of 5 by grumbler from Simply good fun As an avid gameplayer who loves a challenge I was looking for something for my grandchildren which was not just a straight forward find the objects in the list type game. I sure found this to fit the bill wonderfully and I thoroughly enjoyed playing it as well. 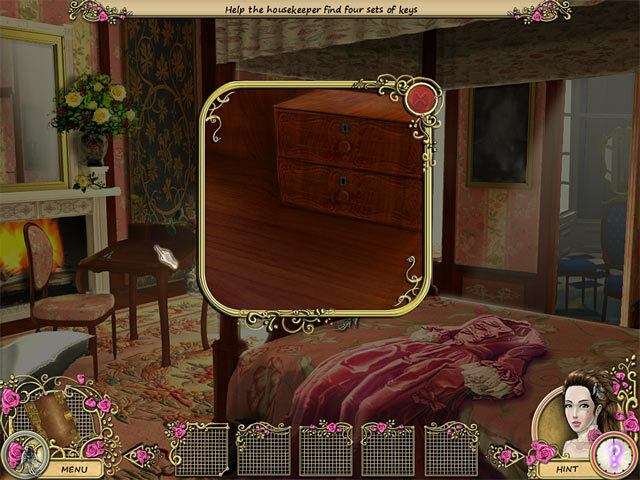 Rated 5 out of 5 by sarah377 from Fun Hidden Object Game! Liked the romantic story, the game was short but sweet. However, for those who like a real challenge, it was a little too easy. Rated 4 out of 5 by arnold1049 from SIMPLE HOG This game is a cute, short, uncomplicated HOG. The storyline is interesting but predictable. The graphics are not the greatest. I had to laugh at the heroine's messy hair and the hero looked like a cadaver. Even playing the hardest mode, the puzzles were fairly simple and easy, as were the HOS. The hints were often misleading or wrong. There is no walkthrough so at one point I had to go to the Forum to find the letter seal stamp. 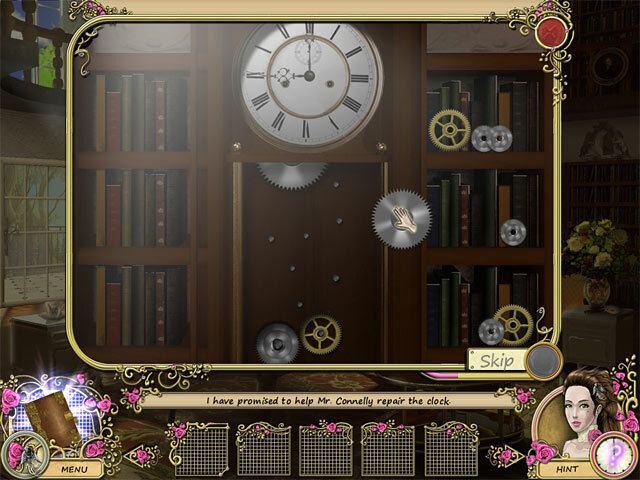 The hint button kept saying to look in the library, I think, when it was actually found after playing a mini-game with a doll in the bedroom. That was the only time I had to leave the game for help. After that, I pretty much quit using the hint button and just kept looking around until I found the next action. This is just a little fluff to keep you entertained when you want to relax and not think too hard. Rated 4 out of 5 by mrm2006 from Can You Help Ms. Ashford? Actually, you ARE Ms. Florence Ashford. This is a sweet, feminine HOG game. Not meant to dark, dreary and have an unpleasant scenario. A great storyline, beautifully drawn pictures, repetitive but calming background music and the lovely Ms. Ashford. Storyline: Florence Ashford's family has become destitute. They have sold all their gold and silver but it was not enough. So, off they send Florence/you to stay with her future husband - whom she has never meant but is pinning all her hopes upon to save her family. Until she finds the truth. Someone has left her a message - a secret message - and after some sleuthing, she discovers her family has been duped. Her fiancee has NOT inherited the bounty of his deceased father's riches. At least not until he has a son. Now, Florence/you must search the house of her fiancee for a little of this and a little of that until she discovers who is the one leaving her secretive messages that are impacting not only her future but that of her family. This Glam-ma thinks this is a truly lovely game. A nice diversion from the gore and evil monsters and witches, Please give this little gem of a game a chance and play the free trial. It's only an hour and it's free. Rated 4 out of 5 by Amijane from Another little BF gem! Want a game with no blood and no zombies but still intriguing and perhaps a bit romantic but still thrilling? This is it! It's not a great game but it's really sweet, interesting and very catching! It's set in the late 18th century-early 19th centuary and has very nice graphics. I bought it on a daily sale and never was my three dollars better spent! Give it a try if you're looking for a game without monsters and gore but still wants the chill down your spine! It's like an old fashioned novel from the same century. I think this game works both for adults and young girls aged ten. Rated 4 out of 5 by rpggramma from Cute Little Game Thought this would be a different change from all the gore and dark stuff I normally play. This is a sweet clean nice game to give you a break. It is fairly easy and it is short. Everything is done basically in the house. Not too much moving around. Mini games are good. Logic is to be used here. Hos are Ok. Scenery is beautiful. Directions are given to you thru the entire game, and you can't do anything until you have all the pieces to do it with. Rated 4 out of 5 by Hookedonbigfish from A bit mushy but a good game After playing this game I was quite amazed at some of the negative reviews. OK, I found it to be a bit mushy and girlish but I really enjoyed the story and the intrigue always expecting the Marquis to appear unexpectedly. Florence had to explore a manor, look for documents to restore her family's fortune and to find out the truth about the Marquis. The dialogue was adequate enough to guide you through the game and was valuable and interesting for the story. The graphics were clear, bright and colourful and the music, although much of a sameness was quite pleasant and soothing in the background. The puzzles and mini games were reasonable and quite good and manageable and the hidden objects were not too difficult to locate. All in all, I thought it was quite a serviceable and pleasant game to play with a bit of mystery and intrigue and the romantic stuff did not really go overboard. I enjoyed it. Rated 4 out of 5 by Fifiluna614 from A Change of Pace I don't believe this game is given enough credit by reviewers who are used to dark, complicated games. I like those, too, but for a delightful change of pace, this is your game. 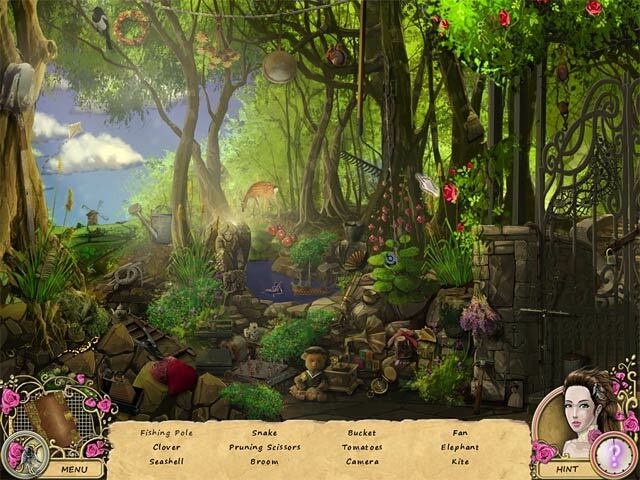 The graphics are pretty, the hidden object scenes are clear and crisp, and the music is lovely. It's not an extremely difficult game, but you do have to think logically. I also don't believe this is a game for children. I'm an intelligent adult, and I had a lot of fun playing it. So if you want a break from skeletons, werewolves and mad scientists, give Florence a try - you might be pleasantly surprised!